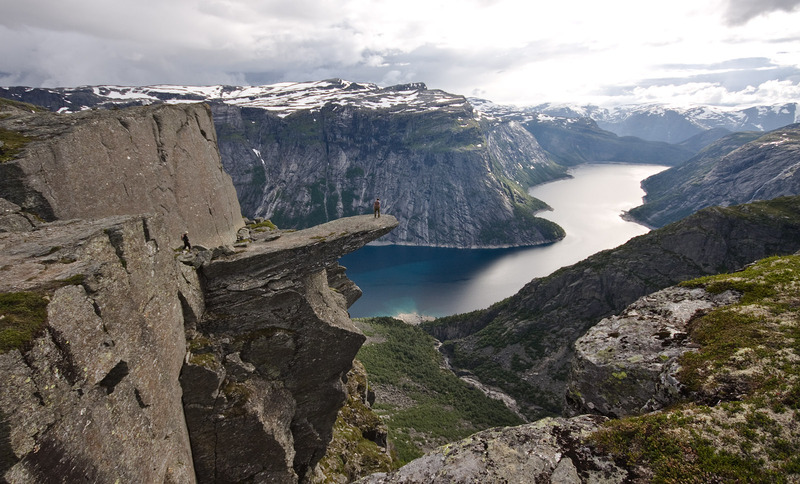 Trolltunga (Troll's tongue) is a piece of rock jutting horizontally out of a mountain a staggering 700 metres above the lake Ringedalsvatnet in Odda, Norway. Standing on this natural formation, hovering so high over nothing, feels incredible. At the same time it is uncomfortable, knowing that any wrong move would be fatal. 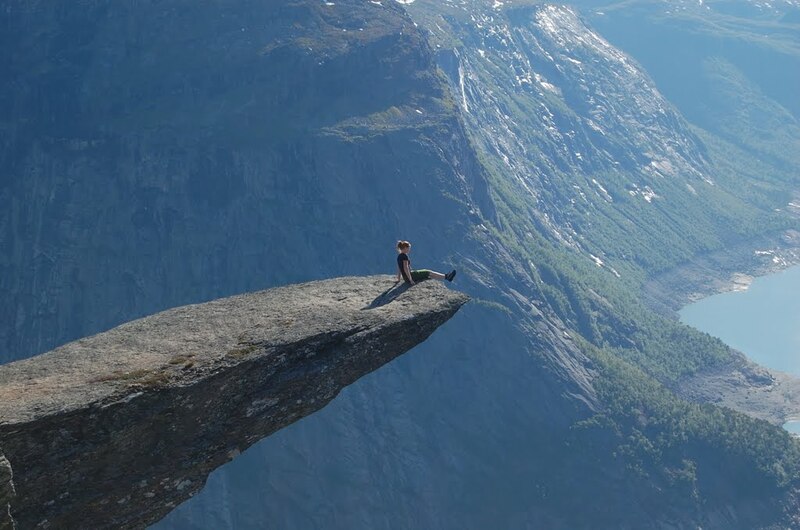 It is a popular hiking destination and obviously extremely dangerous with no safety railings what so ever. The Troll Tongue is available for hikers from approximately mid-June to mid-September. The hike is about 4 hours one way and the path starts in Skjeggedal at the beginning of the funicular Mågelibanen (not in operation). Public transport: There is a bus route 995 that goes from Odda to Skjeggedal from 23 June to 17 August (2014) daily. The ride is 30 mins one way. Ticket: NOK 31 one way. Own car: You can drive from Odda via Tyssedal to Skjeggedal. There is parking lot in Skjeggedal that costs NOK 100 per day. 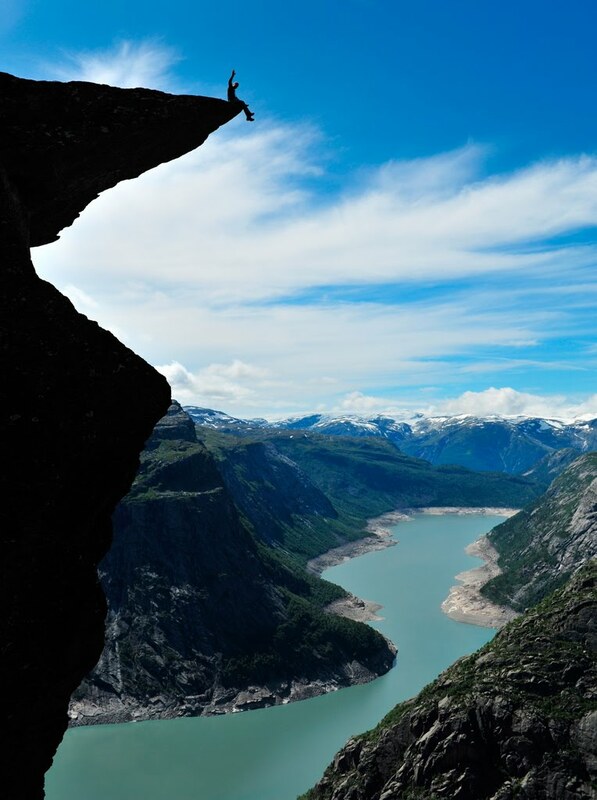 Hiking to Trolltunga is free. If you come by car, the parking fee is 100 NOK. If you take the bus to Skjeggedal, the cost is around 31 NOK.